ViaMéca has recently joined the European Factories of the Future Research Association (EFFRA), a non-for-profit, industry-driven association promoting the development of new and innovative production technologies. The key objective of EFFRA is to promote pre-competitive research on production technologies within the European Research Area by engaging in a public-private partnership with the European Union. It was established jointly by the MANUFUTURE technology platform and other key industrial associations. 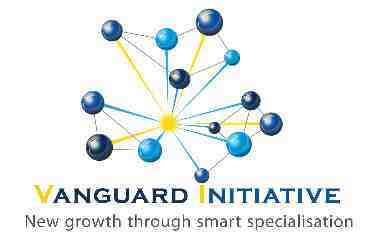 The Vanguard Initiative is an initiative that is driven by a political commitment of regions to use smart specialisation strategy for boosting new growth through bottom-up entrepreneurial innovation and industrial renewal in European priority areas. ViaMéca is strongly involved in this network and especially in its "3D Printing" et "Efficient and Sustainable Manufacturing" pilot projects. It was present on December 4th, 2017 in Brussels in order to follow these projects' activities and participate to a matchmaking B2B event. "Four Motors for Europe" is a long-lasting cooperation between the Regions of Baden-Württemberg (Germany), Catalonia (Spain), Lombardia (Italy) and Auvergne-Rhône-Alpes (France). The current goal of this cooperation is to reinforce the competitiveness of these Regions in economy, sciences and technologiesand to facilitate collaborative projects for European calls for proposals such as H2020. ViaMéca is working in this network alongside its partners, especially on "Nanotechnologies, Advanced Materials, Biotechnology, and Advanced Manufacturing and Processing" (NMBP). et êtes intéressé par un accompagnement sur l'Europe ?